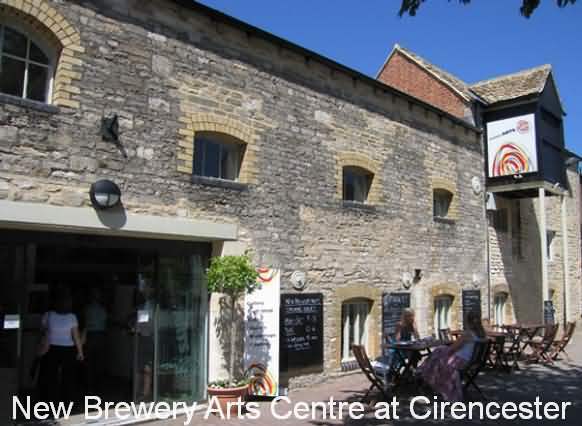 In the heart of Cirencester, and with a contemporary art gallery, craft shop, cafe, theatre - and 12 on site craft makers - we offer visitors a unique and enriching arts and crafts experience. Through a wealth of exciting events, short courses, art classes and craft workshops, and the New Brewery Arts charity's community work, we aim to give everyone the opportunity to develop their artistic talent. New Brewery Arts is a Cotswolds hub of visual and performing arts and crafts. We work closely with schools and other local organizations to inspire learning and culture for the enrichment of all, regardless of age, ability or privilege. New Brewery Arts is home to 12 creative businesses producing outstanding examples of contemporary craft. The makers are our partners and are central to our mission to be a cultural centre of excellence, specialising in contemporary craft. We offer you the opportunity to see where craft is made and to buy directly from the artist. Some makers are also happy to create unique, commissioned pieces for special occasions. Visit their studios to see them in action. Please note that if individual studio opening times are not listed here it would be wise to telephone in advance. You can also browse an array of their work on show in our café and shop. All the pieces are for sale.